Home Blog Events & Awards	Lakeland’s 2017 trend predictions & what’s new for autumn/winter? Ever since I discovered Lakeland about ten years ago, I've been a big fan of their innovative kitchenware and home solutions. They really do some great gadgets and products that you never thought you needed (Bar Keeper's Friend for me), but now couldn't live without! This year's food lifestyle trend is fast developing as ‘Eat like your grandparents' and is based on ‘don't eat anything your great grandparents wouldn't have recognised as food'. This essentially means cooking from scratch and making your own soups and sauces for example, but also having a little of what you fancy. According to Lakeland, souping is showing longevity as a food trend. The New York Tines referred to souping as ‘the new juicing' and it was voted one of the most popular diet trends of 2016. Google search data supports this, with soup searches more than double juice searches in January this year – and Lakeland's Touchscreen Soup Maker has already sold three times the forecasted sales for all of 2017! The pressure cooker is back! But it's no longer a tin pot rattling away on the hob; today's products are super easy to use, safe and effective. Google searches for pressure cooking are up 15% on the year to date as we start to see the pressure cooking resurgence, and Lakeland is expanding its autumn range to meet demand. For example, its new Graphologie pressure cooker literally spells out for you how to use it, so it's great for novices – and a risotto can be cooked in as little as 20% of the time it would take using more traditional methods – great for our time-poor lifestyles! Lakeland is also launching an array of new baking pieces to complement existing ranges, which is music to my ears as I'm more of a baker than a cook. 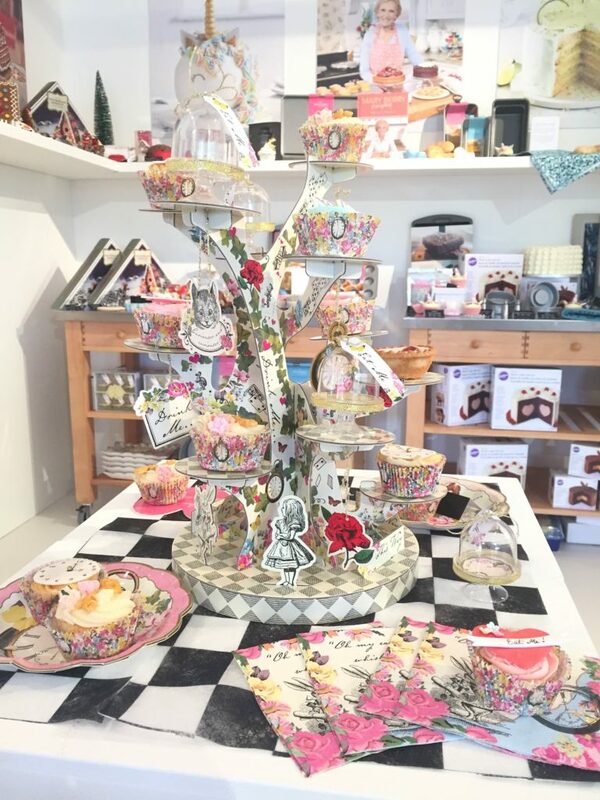 Sugar is back in favour (in limited quantities) and I'm all over Lakeland's Alice in Wonderland tea party theme, which features cake stands, drinking bottles, platters and cupcake cases for the perfect tea party. Meanwhile, I was throughly impressed to learn about Russian piping, which creates intricate and impressive piping results. 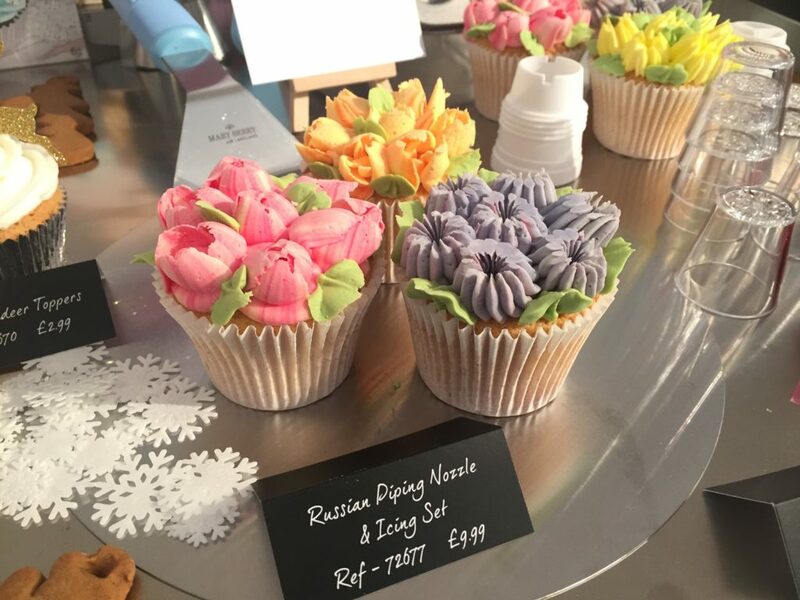 Rumoured to have originated in Moscow, Russian piping can create lifelike flowers and detailed designs, so the company's new Russian Nozzle Piping Kit means that it's a cinch to recreate professional designs in your own kitchen. A new product called the EdgeKeeper knife is being launched for autumn, with a clever point of difference – the sharpener is in the storage sheath, meaning that every time you put it in its case (or pull it out), the knife is automatically sharpened. Nifty. 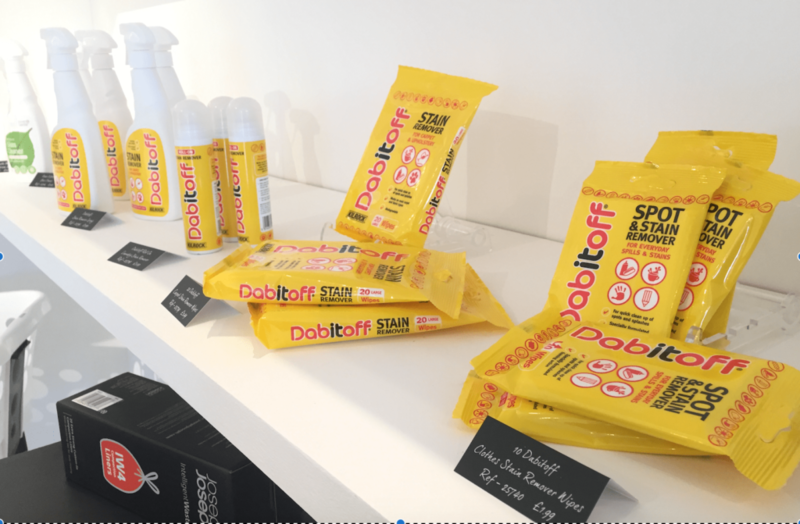 I'm a big fan of the duster and I like nothing more than watching Channel 4's Obsessive Compulsive Cleaners, so I was pleased to hear that Lakeland is introducing Dabitoff to the UK market. If you're under 40, the name probably won't mean anything to you, but years ago this was the ultimate stain removing range in UK households. It was taken off the shelves due to the chemicals that were used in the products at that time, but with those chemicals now removed, Dabitoff has made a comeback. I was given a very impressive demo at the showcase, with Dabitoff being used on a carpet with a week-old coffee stain – and right before my eyes it came out so easily. This product is definitely going in my basket when I pop into the store. I was also pleased to hear that the the Lakeland cleaning and stain removal range is focussed on achieving great results as quickly as possible – and everything in the range is tried and tested. If the result isn't ‘wow', it doesn't make it in to the range. Now that's what I like to hear. Another cleaning product launched earlier this year is Vamoose – a spray bathroom cleaner that apparently delivers great results without the scrubbing. And this autumn the company is introducing the Turbo scrubber, with an exclusive set of cleaning heads to ensure maximum performance. 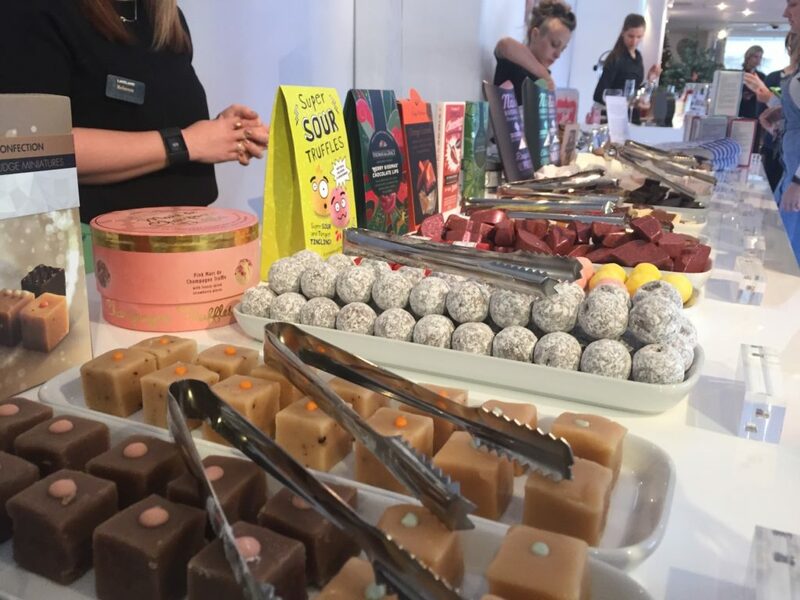 The showcase outlined a number of other trends emerging this year including fermentation (did you know that fermented foods actually help keep the good bacteria in your gut alive for longer? ); sweet potato and avocado consumption has increased (UK consumption of avocados continues to see a steady 30% growth year-on-year); microwave cooking (with steamers and egg poachers both becoming increasingly popular); and indulgence – which includes both chocolate and alcohol. I think I single-handedly made indulgence trend this year – especially on the chocolate side of things. 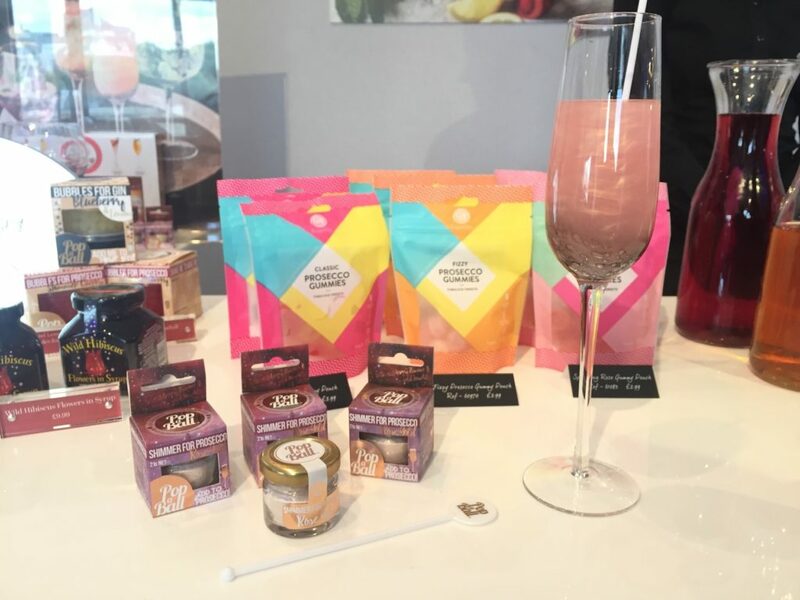 This year the company has also launched Prosecco Shimmer, which you can add to your drink to make it sparkle – very instagrammable! Add Prosecco Shimmer and watch your drinks sparkle! And as the retailer looks forward to Christmas, Lakeland's food range appears to be its best yet- unique hampers, indulgent (and exclusive) Thomas & Grace chocolates, plus the return of last year's runaway successes – Peppermint Bark. And then there's the expanding range of delicacies to pop in your beverage. 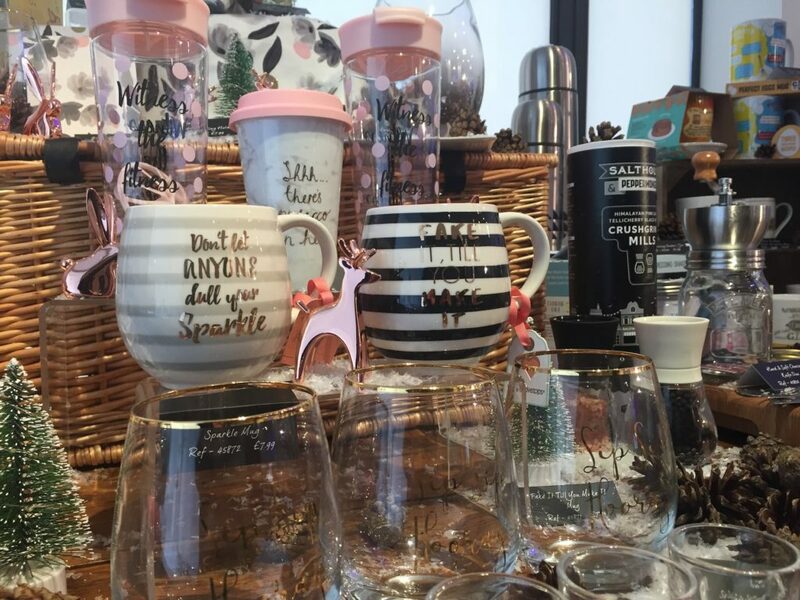 We're talking Popaballs, Prosecco Shimmer, cocktaiI mixers, gin teabags, wild hibiscus flowers and sugar cocktail sticks, alongside some elegant glassware to pop them into. Souping is the new juicing with Lakeland's Soup Maker already selling three times its 2017 forecast! Pressure cooking is back! Favourites such as risotto can be made in as little as 20% of the time. This year's summer must-have is Shimmer for Prosecco! 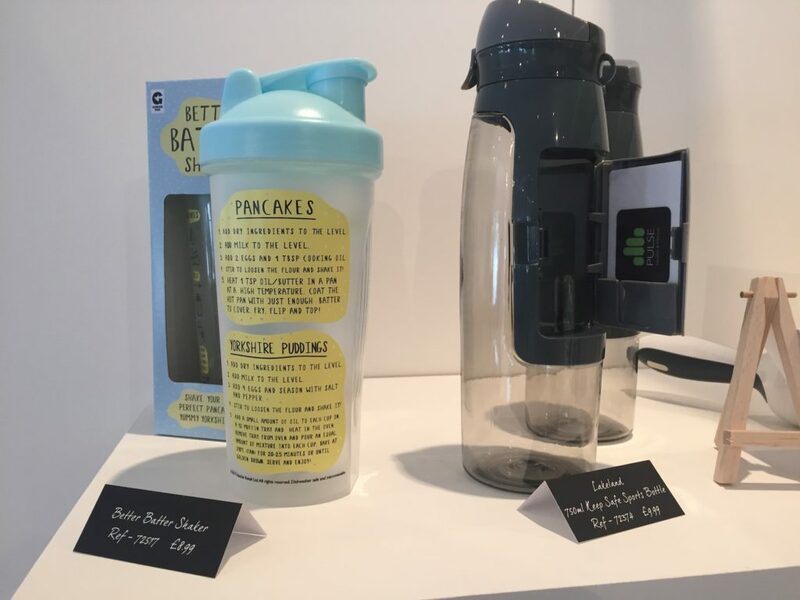 A couple of fab products caught my eye at the show, including this drinks bottle where you can hide keys, cash and credit cards! What trend do you like the most – and what do you predict will be the 2018 trend to look out for? Didn’t know, souping is more popular then juicing! Is that so. Coming years the number would be more. I would have thought it would have been he other way round, but looks like souping is king for now! Everything looks fabulous but I am absolutely in love with a prosecco shimmer! I think a few of us will be after that stand! ? Ive seen my parents use Dabitoff and I CAN NOT wait to use it myself haha! Love the idea of hiding your keys in a bottle! so innovative! I’m going to have to buy that bottle for sure! If not for me then as a pressie for someone! ooo i want to try that prosecco shimmer! it looks so cool. I went in store today and saw it in a glass – you just stir it and it goes all sparkly! I’ve never tried it – I must give it a go someday! I’m a sucker for sparkly things, so seeing your shimmer for prosecco is right up my street! A great idea for cocktails and the like. Lakeland always seem to have some great ideas, looks like there are some fab things in the pipeline. It looks really pretty in the glass ? Ha ha! Glad I’m not the only one Leah! I love aspiring to Lakeland standards! Interesting selection they have int their new range. Love the Prosecco shimmer! It looks great in the drink actually! Definitely bring back the baking! Also, I weirdly love that prosecco shimmer, it’s a clever yet daft little idea! It will go down a storm with people I think! I never thought of souping as the new juicing until now, but you’re totally right! I’ve definitely been seeing more and more restaurants and recipes online featuring soups. It’s funny how these things tend to come and go as trends. 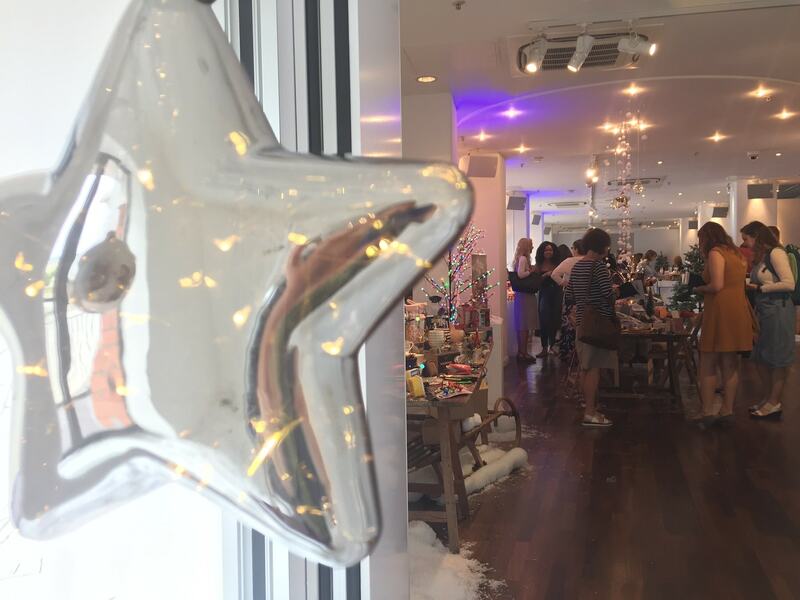 We love Lakeland for party wear times and often visit the store in Guildford. Crazy how Christmas preparations are starting already! Yes, the high street stores normally work 6 months ahead on their product lines apparently..
I’m excited to see them in store too. I love Lakeland for all of my baking necessities. That cake stand has caught my eye! Mine too Ashleigh! Xmas pressie? I am glad that soup is making a comeback. I am a huge fan of hearty fillings soups. I haven’t got one but after seeing what it does I think I now need one! Lakeland always have the best decorations. There Christmas collection looks like a dream. They are lovely aren’t they? Love them too. This looks fab. I love Lakelands. I like the ALice in wonderland product. It is super cute. Me too Angela – too cute! Souping is the new juicing – yaaasss!! We have a soup maker and used it every day last Winter! I need to start doing this myself I think! Souping as the new juicing is something I could definitely get onboard with! I make an amazing spicy sweet potato soup – blowing my own trumpet there. I’m loving the fake it til you make it mug – I love a big mug to see me through winter. I’m with you on the big mugs Jess – especially in winter and it’s filled with hot chocolate! I love that Alice in Wonderland tea party! I also like the look of the cake piping set. I’ve never tried it before! They will be in store in the next few months Jenni and then me and you will be able to get our mitts on them! i love checking out their products too – and testing them out of course! Have to agree on that one Rhian! There’s a Lakeland in the centre of town where I live, but I’ve never actually been in there… It might be some sort of subconscious rebellion as it took over the storefront where the Disney Store used to be… But having read this, I’m gonna have to have a look, aren’t I? Ah you did make me smile with that comment Gareth – absolutely you’ll have to pop in there – presents and gift ideas galore for your family/friends! You know you’re well into the year when people are making Christmas preparations already. Where do the times go? Time flies that’s for sure..!